The Paytm Mall Monsoon sale is here and if you’re planning to buy a TV, you’ve come to the right place. The products we have listed down are from brands like Sony, LG, Samsung and more. If you’ve missed out Amazon’s 36 hours long Prime Day sale then don’t feel disheartened. 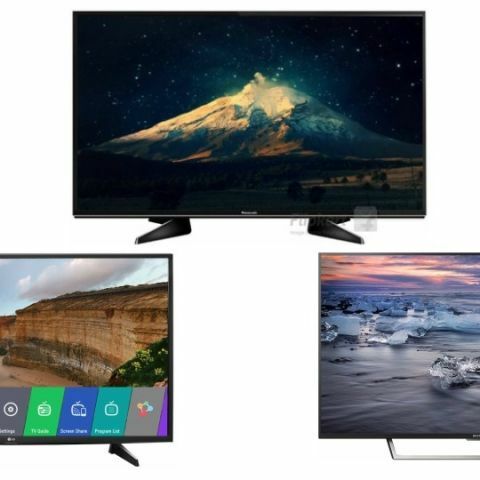 The Paytm Mall Monsoon sale has just started and we picked out some of the best deals on TVs. The products in the list are from some well-known TV manufacturers like Sony, LG, Samsung and more. This LG Smart TV features a Full HD display with a resolution of 1920 x 1080 pixels and a panel size of 43-inches. As it is a smart TV, the users have a full access to Internet-based apps like Youtube. The device also comes with a watch & record feature, which allows you to record your favorite programs or a live match while you aren’t at home. Click here to buy. The Sony Smart TV sports a 40-inch Full HD display with a resolution of 1920 x 1080 pixels. It is also equipped with a subwoofer that helps offer an improved audio experience. It has two HDMI ports, and two USB ports as well. Click here to buy. The Samsung Full HD Smart LED TV has two HDMI ports and two USB ports to connect Fire TV Stick, console or USB flash drive. The TV has a screen mirroring feature, which lets users watch their smartphone content on the TV via wifi direct. The users can stream music and video as well via internet based apps like Youtube. Click here to buy. The LG 43-inch 4K UHD Smart TV features built-in wifi, which lets you access the internet just like your regular smartphone. The users have access to streaming apps like Netflix, Youtube, Voot and more. It is a smart energy saving device, which the company says requires little power to work. Click here to buy. If you have a limited budget and you want to grab a Smart TV then this might be the right device to purchase at this time. The TV has a built-in WiFi to access the internet and download video streaming apps like Netflix and YouTube. The device consists of two HDMI ports and two USB ports. Click here to buy. The Panasonic 4K UHD Smart LED TV lets you access internet and stream movies, TV shows, videos on streaming apps like Youtube and more. It also has a screen mirroring features that allows you to watch your mobile content on TV. The device has a built-in home theatre as well. Click here to buy. The VU Smart LED TV features a Full HD display with a resolution of 1920 x 1080 pixels and a panel size of 43-inches. The users can stream music, videos and access the web via built-in WiFi. It has two HDMI ports, and two USB ports to connect external media devices. Click here to buy. The Samsung 49-inch Full HD Smart TV allows you to watch the internet contents via an app. It also comes with a Smart View feature that lets you mirror your mobile screen on the TV. It has two HDMI ports and two USB ports. Click here to buy.